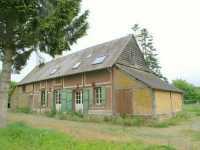 AHIN-SIF-00921 • Farmhouse with 2 attached gîtes - 10 Beds in all - in quiet rural hamlet. Ideal home and income. The property was formerly run as a B&B with family suite and owners' accommodation and 2 attached gîtes. 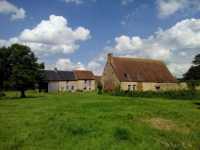 The larger of the gîtes at £480 a week and the smaller at £440 a week in peak season. AHIN-MF918-919DM61 Passais la Conception 61350 Pretty property (2 houses) in a lovely quiet location at the end of the road. Comprising 2 character houses both facing south, surrounded by 4 000 m ² and 1.7 ha rented in herbage and orchard. A nice property with lots of potential for improvement..
AHIN-SIF-00903 Domfront Area 61700 Equestrian property with house, gîte, nearly 8 acres, menage and stables with superb views. The property benefits from double glazed windows and spacious, versatile accommodation. There is the possibility of creating extra bedrooms in the loft space which is boarded with good head height and light. Viewing is highly recommended! 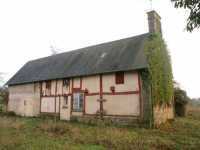 Surprisingly spacious detached village house in Normandy with 3/4 bedrooms and enclosed garden. AHIN-SIF-00891 Mortain 50140 Detached 4 bedroom house with no neighbours and garden of over 1 acre with super views in Normandy. 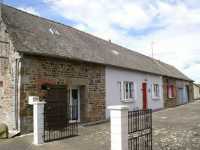 Only 1 mile from the town centre of Mortain. AHIN-SIF-00886 • Sourdeval • 3 Bedroomed Detached house with garden and large garage. In a lively town within a short walk of all amenities. The property benefits from a dual fuel central heating system with wood fired boiler and backup electric boiler. AHIN-SIF-00874 • Domfront • Stunning 6 Bedroomed Manor House - a restoration to complete - on 7,411m2...well worth it! 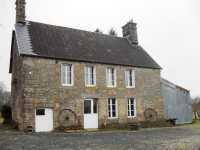 AHIN-SIF-00856 Sourdeval Area 50150 Attractive detached stone house for sale in a quiet rural hamlet in Normandy with just under 1/2 acre garden. This cottage has been used as a holiday home which is positioned in a quiet rural hamlet. It has recently been re-wired, re-decorated and had a new all water septic tank installed. Viewing is recommended to appreciate its charm. 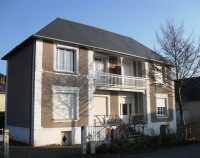 AHIN-SG-1458 Mont St Michel 50170 area First Floor Apartment just 600m from the Beach in the Baie of Mont St Michel. 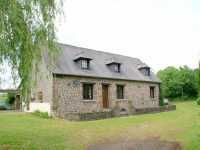 AHIN-SIF-00839 Saint Pois 50670 Recreational land extending to just under 5 acres with woodland and 2 small lakes. 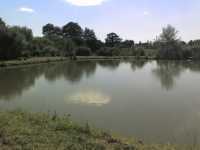 Ideal place to relax and enjoy nature and for fishermen with their own campervan or touring caravan.